← 4 Gambling Myths True Or Not? Can You Identify A Gambling Problem? 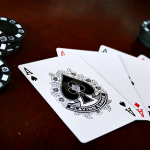 A gambling problem or addiction is not as apparent as a drug addiction or alcohol problem. Many are unaware of having a gambling problem. Some may even believe it to be a harmless hobby. Do you know the four signs of having a gambling problem? The first sign is the impulse to gamble in secrecy. Brooke, age 39 stated “I would go out to gamble and if my husband ever asked, I would lie and say I was going to a friend’s house. I lied because I did not want to deal with his response. Our communication was far from perfect and I felt that if he found out about me going out to gamble, he would get angry.” As you can see, Brooke was hiding the fact that she was gambling from her husband. In addition, she lied about her whereabouts to him if he ever asked. She felt that if she told her husband, he would not understand her decision to gamble. The second sign is the inability to control your gambling. Chad, age 44 stated “Once I walked into the casino I would not be able to leave. I would sit at the slot machine and keep gambling away. I was depressed because of my money problems and I felt the need to win back what should have been mine. I would sit at the slots and hope to make it rich. If family members called asking me to come home, I would refuse. The need to win was so powerful I was not able to walk away.” Chad felt compelled to stay on the slot machines. He was not able to control his gambling problem. The third sign is when you run out of money to gamble and start using money that is saved for expenses, bills and college funds. Chad continued “There was one night where I did not win anything and I had lost all of my gambling money. I felt depressed and thought to myself that if I just had a little bit more I could win some more. So I took money out of my wife’s account to continue gambling. I felt ashamed but I also thought that I could win it back before she noticed. I was wrong and I lost more and more.” With Chad, he felt that if he kept gambling, he could win back what he lost. This rarely happens in gambling and he felt the need to take money from his wife. If Chad had let this continue, he might have eventually started to steal, take money from savings accounts, or borrow from others. The more money you gamble, the worst off you are. The fourth sign is when family or friends become increasingly worried. Gamblers are often in denial and believe that there is nothing wrong. They may not listen to family and friends very well. Gamblers are often not aware of how gambling is taking a toll on their lives. The concerns of family or friends should be taken into consideration. Family and friends are concerned because only want to help. If help is needed, one should not be afraid to ask. Now that you know the four signs of a gambling problem, do you have a client or know someone who could benefit from these signs? Gambling problems cause more than just financial complications; it causes complications with relationships such as family and couples. 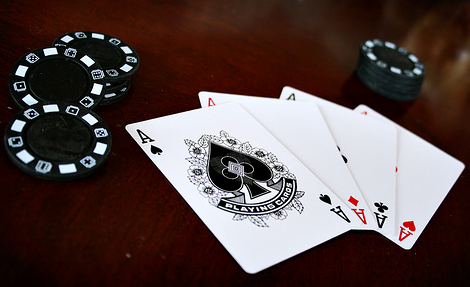 It is important to identify gambling problems early so that minimal damage will be caused. This entry was posted in Addiction, Gambling Addiction and tagged Addiction, Anger, communication, couples. Bookmark the permalink.